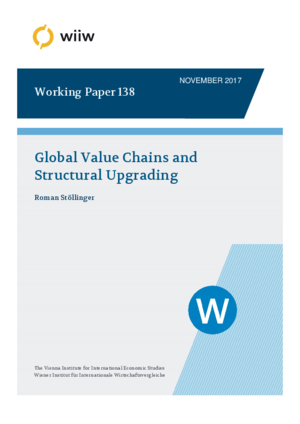 Global value chains (GVCs) are increasingly seen as a part of the industrial policy toolkit as they facilitate the entry into global markets and MNEs have greater incentives to share knowledge within their production network. Making use of international input-output data for 53 countries, this paper investigates econometrically how countries’ participation in GVCs affects structural upgrading. A sizeable structural change bonus arising from increasing GVC trade is identified for emerging and transition economies. However, this bonus is not stronger for GVC trade than for trade in general. Therefore, the role of GVCs as an industrial policy tool should not be overestimated.